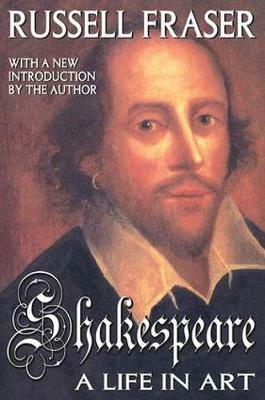 Shakespeare: A Life in Art brings together in a single volume Fraser's previously published two-volume biography (Young Shakespeare, 1988, and Shakespeare: The Later Years, 1992). This volume includes a new introduction, which looks back on the author's lifelong commitment to Shakespeare's work and seeks to find the pattern in his carpet. Fraser's approach places Shakespeare's work first but shows how the life and art interpenetrate, like "the yolk and white of one shell." What Shakespeare was doing in Stratford and London underlies what he was writing, or more exactly, the two flow together. Most of the book is devoted to Shakespeare the man and artist, but it simultaneously throws light on his literary and personal relations with contemporaries such as Jonson, Marlowe, and others known as the University Wits. His experience as an actor and man of theater is absorbingly recounted here, as well as his relations to well-born patrons like the Earl of Southampton and Henry Carey, Lord Hunsdon (England's Lord Chamberlain). In 1603 when James I ascended the throne, the Chamberlain's Men became the King's Men, passing under the sovereign's protection. How Shakespeare responded to his ambiguous role--he was both servant to the great and their remorseless critic--is another of Fraser's subjects. In short, Fraser's principal purpose is to advance our understanding of Shakespeare, at the same time throwing light on the work of the man who of all modern, and perhaps ancient poets had the "largest and most comprehensive soul." John Dryden, Shakespeare's first great critic, said that, and Fraser tries to estimate what he meant. "Russel Fraser's excellent scholarly works on William Shakespeareis a complete and educated look at one of the greatest writers the world has ever known. "Shakespeare: A Life in Art" is highly recommended for readers seeking an in depth look at the man behind the plays and for community library collections on English History of Classic literature." "This is a biography unlike any other, deliberately breaking away from some of the thinking as well as deom the presentation of predecessors.... Those who know a little about Shakespeare and his age, and who expect the familiar guided tour, will find Mr. Fraser a very pleasant surprise." "--New York Review of Books "
"Fleshing out the verifiable facts of the playwright's life with historical material, Mr. Fraser draws an incisive portrait of Shakespeare's England." "Russel Fraser's excellent scholarly works on William Shakespeareis a complete and educated look at one of the greatest writers the world has ever known. Shakespeare: A Life in Art is highly recommended for readers seeking an in depth look at the man behind the plays and for community library collections on English History of Classic literature."